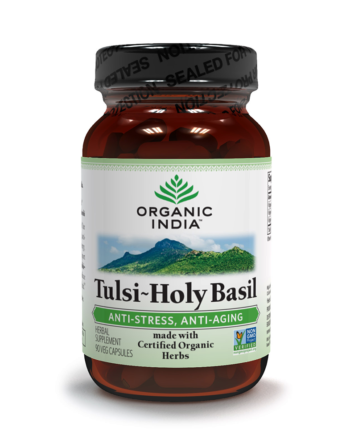 Tulsi, also known as Holy Basil, is a herb revered by Ayurveda (the ancient Indian health practice) for thousands of years to promote health throughout the entire body. 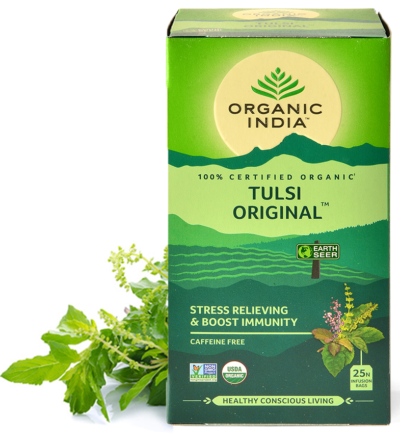 With the scientific name Ocimum Sanctum, Tulsi has been traditionally used for its ability to support a healthy response to stress, natural detoxification, boosting immunity, increasing stamina, endurance & energy as well as restoring balance & harmony in the body. The ORGANIC INDIA Tulsi tea range has been an integral part of my practice for several years and I routinely recommend various blends to my clients based on their unique needs. Tulsi is a time honoured adaptogen par excellence and the fragrant blends of all three varieties (Rama Tulsi, Krishna Tulsi and Vana Tulsi) with herbs like ginger, moringa, mulethi, cinnamon, makes for a winning herbal tea combination with great benefits for health and well-being. I wholeheartedly endorse these sustainably and organically grown herbal teas. 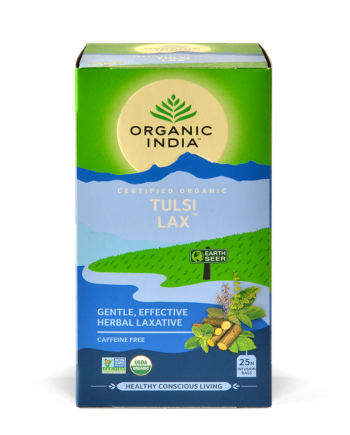 As a uni student, ORGANIC INDIA Tulsi tea is my best friend! 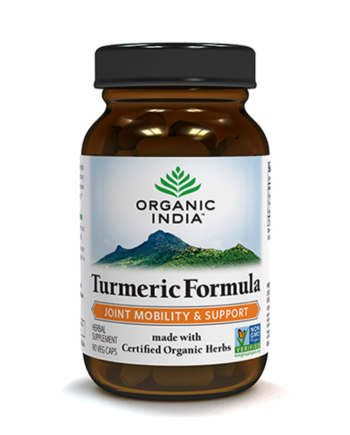 With numerous health and wellness benefits, it's like a balm for stress and a freshly brewed cup is never far from my side. It keeps me energised and focused when studying and working while supporting a peaceful night's sleep at the end of a busy day. 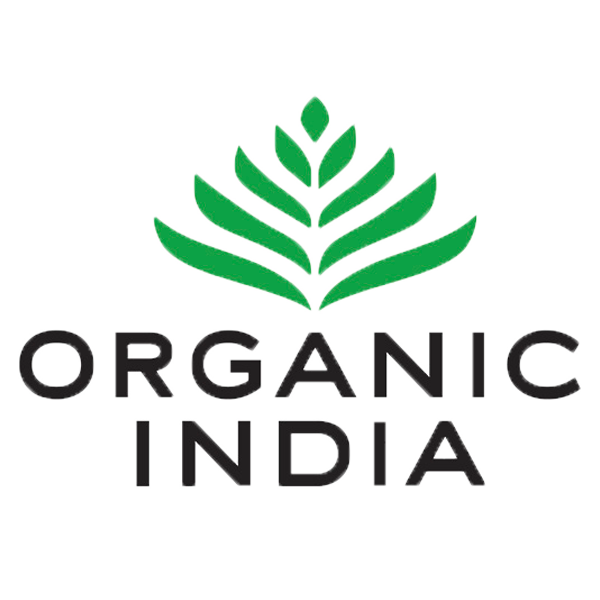 Thank you ORGANIC INDIA for sharing the love! 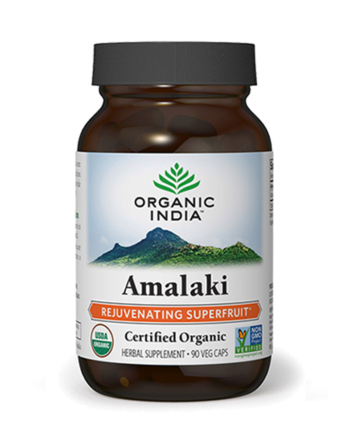 "As a Vehicle of Consciousness, ORGANIC INDIA appears to be traveling in the darkness through a world in crisis, where unsustainable agricultural practices are damaging the earth, farmers and consumers and corporations are driven to maximise profits rather than create real value. ORGANIC INDIA shines a light over this terrain to illuminate a path towards a future where all will be well. 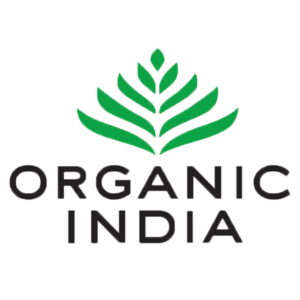 ORGANIC INDIA is itself a manifestation of true wellness and a blessing to everyone who comes in contact with its people and its products." Professor Marc Cohen - MBBS (Hons), PhD (TCM), PhD (Elec Eng). Program Leader for RMIT's Master of Wellness and Master of Nutrition Medicine Programs. 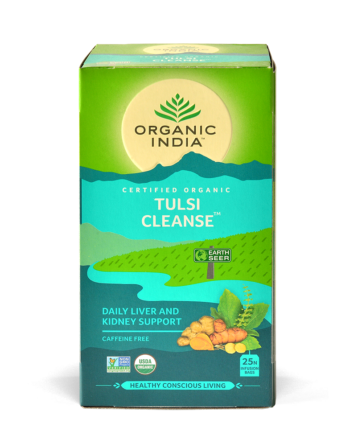 I did the Tulsi 21 Day Challenge and felt a distinct difference in my body and mind as a result. I felt very grounded and calm and it really helped me stay hydrated as I find getting in the right amount of water difficult. 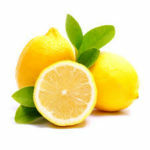 I love that you can have it as a cold infusion or iced tea in summer - the different blends are delicious. The history and sacred nature of the Tulsi plant are also very special and I feel at ease in the knowledge that ORGANIC INDIA practices integrity and compassion towards their workers and towards our planet. 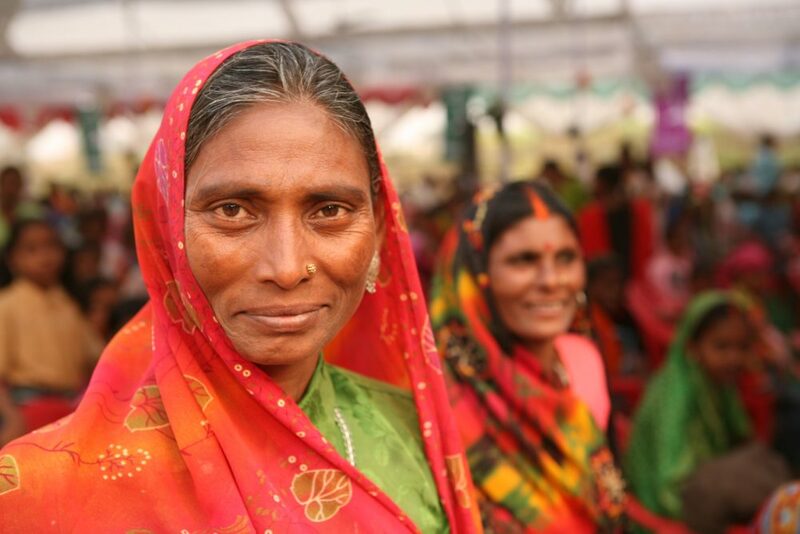 We now work with over 2000 rural family farmers to cultivate over 10,000 acres of farmland in India. 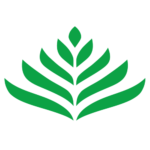 All of our farmers and tribal wild-crafters are educated in organic and biodynamic agricultural practices and we cover the fees associated with acquiring organic certifications. But our commitment goes beyond the farm to help enhance the lives of our farmers through fair-market wages, access to healthcare, education and training, empowerment and gender equality programs as well as infrastructure improvements. When farmers succeed, their villages also prosper, leading to a collective increase in quality of life. 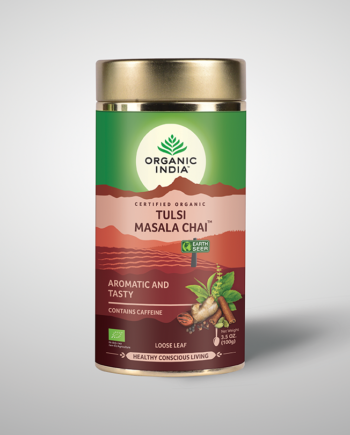 Every year, our network of farmers and wild-crafters work thousands of acres of organic farmland in India, bringing our consumers quality, organic crops and herbs, while simultaneously reversing environmental degradation in Indian farming communities. 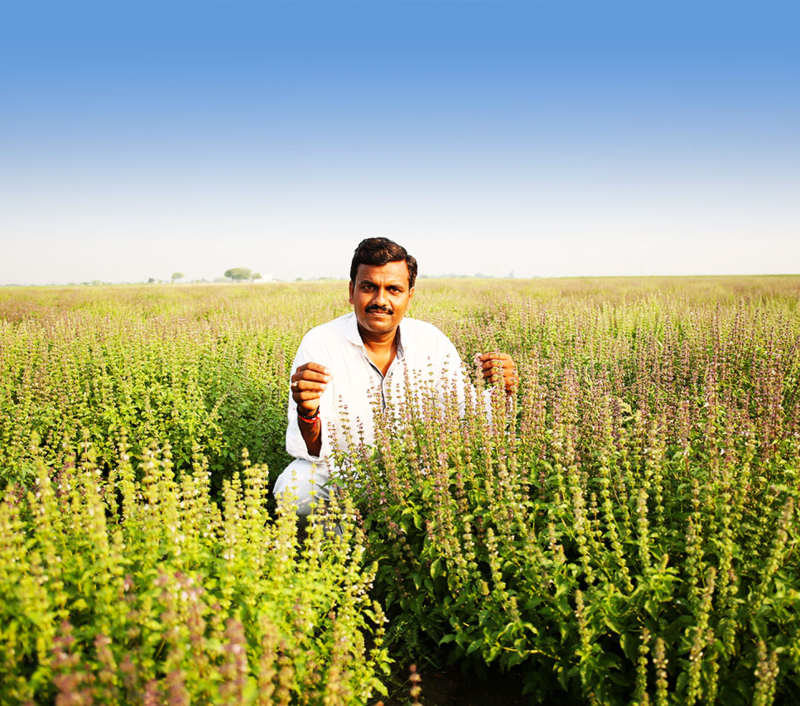 See how we are changing the landscape of India’s agriculture. 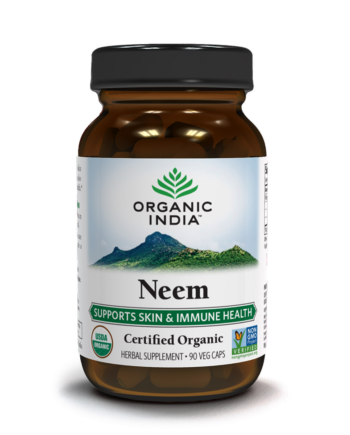 Our founders sought to establish a sustainable business model; to support the livelihood of thousands of impoverished farmers in India, by providing training and education, creating cottage industries for their wives, education for their children, enabling self-sufficiency and skills that could be passed on to future generations. 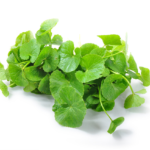 Subscribe to our newsletter for up-to-date news, new products, special offers and be apart of our beautiful community inspiring True Wellness for all.